The liver and spleen have been thwarting researchers’ attempts to deliver a nanoparticle carrying therapeutic drugs to its target. A UNL team has discovered that citric acid is the key ingredient in armoring the nanoparticle against the organs’ molecule chomping. Nanoscale drug delivery techniques are potentially safer and more effective methods of administering drugs than conventional treatments. One method of slipping synthetic drugs past the body’s immune defenses is to use a Trojan horse, enveloping the drug in a nanomaterial made from zein, a corn protein that appears nonthreatening. Zein is widely used in the food, paper and other industries. But that friendly exterior also makes it susceptible to the liver and spleen, which break down proteins and other biological products. The UNL team learned that citric acid acts as a kind of mortar to bind the nano-particle’s protein molecules together more tightly, creating a much more durable structure. They’ve shown that zein nanoparticles fortified with citric acid successfully delivered the cancer drug 5-Fluorouracil to the kidneys in mice. 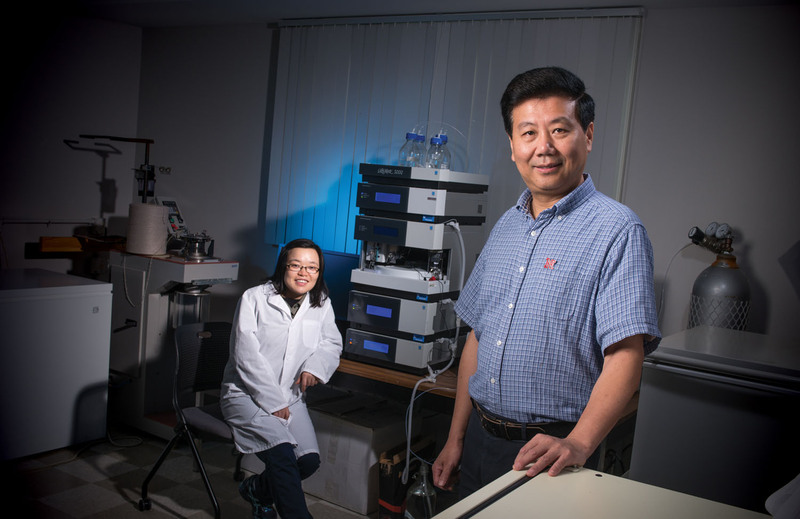 Importantly, citric acid is nontoxic, said project leader Yiqi Yang, Charles Bessey Professor in textiles, merchandising and fashion design and biological systems engineering. Other successful strengtheners are carcinogenic, limiting their medical usefulness. The reinforced structure also has potential for use in regenerating human tissue, he added. Earlier, Yang and his colleagues improved the zein nanoparticle’s functionality as a drug delivery system by creating a hollow center that increases its loading capacity. Yang said he hopes to work with an industry partner to develop the enhanced zein nanoparticles for use in delivering targeted drug therapies. He was prompted to work on zein because the protein is a ubiquitous byproduct of the corn industry.